Like Album Builder, Blog Collage uses our patented Drop Zone 2.0 technology to create designs with your images. 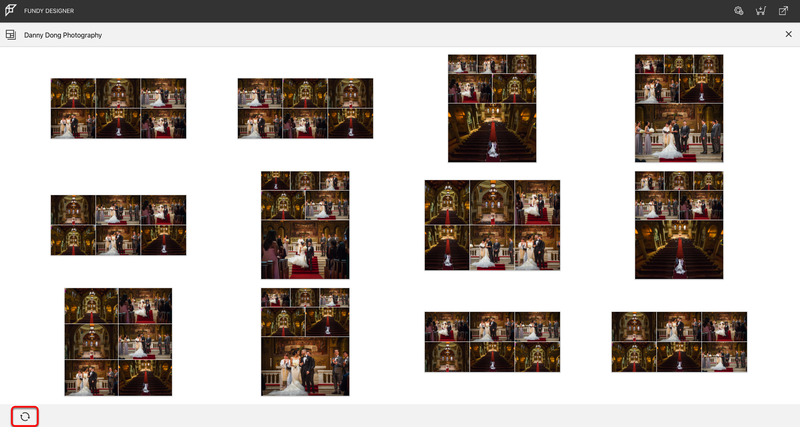 You can choose from a seemingly endless variety of auto generated Drop Zone layouts for your Collage. The layouts change and update depending on the number of images in a Drop Zone and image aspect ratios. The first thing you'll need to do is add images to your collage. 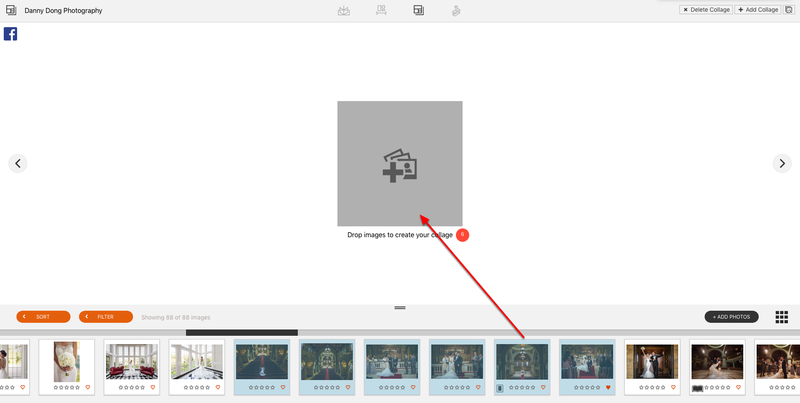 You can select multiple images from the image well, dragging and dropping them onto the canvas and create an auto generated design based on your images. 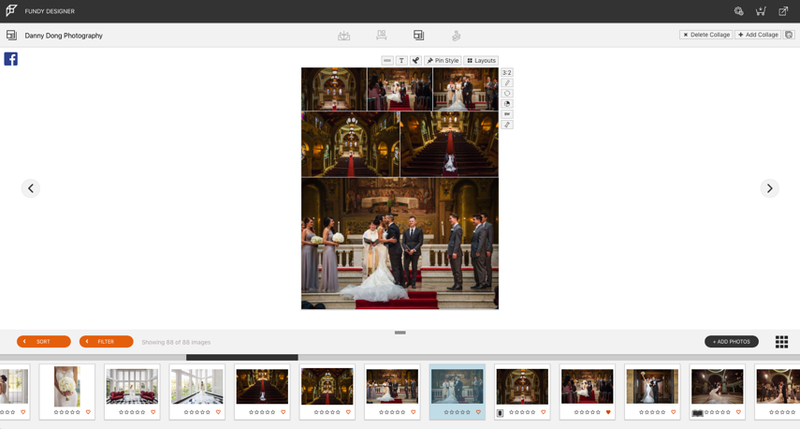 You can also add images one at a time, building your collage with total creative freedom. 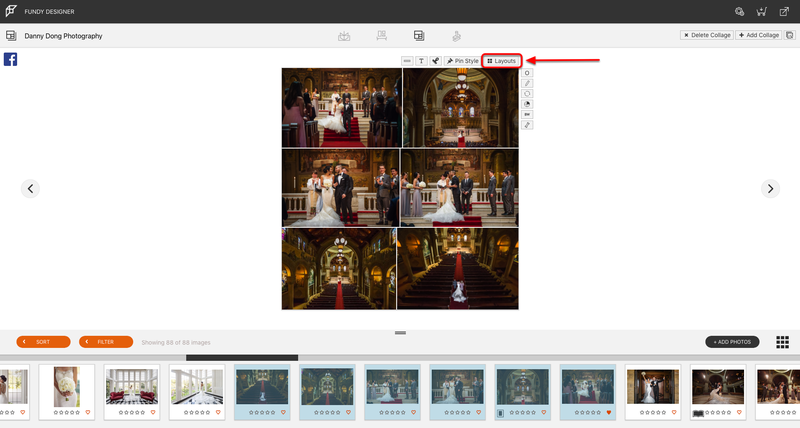 When you drop your images onto the spread, an auto generated design will be created from you images. You can also quickly view other auto generated design options by clicking the Layouts icon. This will open the Quick Design Picker. Your layout options will be displayed. Select the one that most closely fits your desired design or you can shuffle through more designs by clicking the Shuffle Design icon. You will be returned to Collage View and the layout you selected will be applied. Blog Collage auto design has a limitation of 5 rows and 15 images. This allows you to quickly create your collage but keep them at a nice balance of images vs. size to avoid overloading your webpage with huge collages. A suggested workflow is to create multiple collages, breaking them up into smaller groups, rather than one large collage.